First of all, at night time, I clean my face. 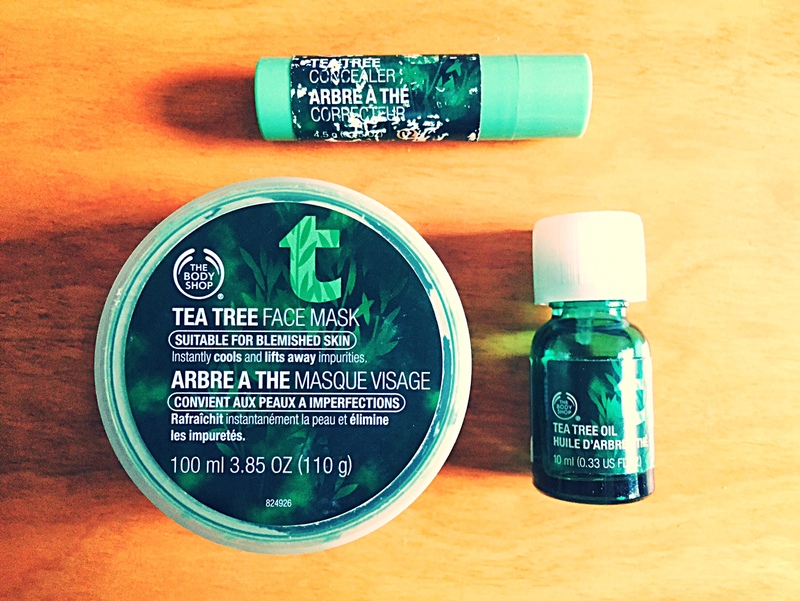 With my hands previously cleaned, I apply the Body Shop tea tree mask. I let it work for 10/15 minutes. After, I wash my face with warm water and pat dry. (Note: it can get a bit tricky to remove, that is why warm water will help to remove it easily). Once my face is clean and dry, I apply a drop of Tea Tree oil in the pimple, with my finger tip, and I let my skin absorb it. Apply your night moisturizer as usual and go to sleep (Use this mask once a week to remove impurities and absorb excess oil. If you are prone to have breakouts, remember to be consistent with it and use it once or twice a week. If you have very dry skin and no pimples avoid use. Your skin does not need it). Next day, apply tea tree oil again on the pimple, proceed with your mosturizer and cover the pimple with tea tree concealer. I love this one, as It will not only cover your pimple, but at the same time it is not greasy or thick, and it will not clog your blemish. You have a choice of several different tones at Body Shop that can match your skin type. I chose number two, which works with my skin tone. Don’t forget to keep these products handy, as you never know when you will need them. They all go a long way, so it is a must have!! No excuses!!! :-) Hurry up and get yours!! Tags: Blemishes, Body Shop, Breakouts, Clear Skin, Pimples, Tea Tree, Tea Tree Mask, Tea Tree Oil, TeaTree Concelear. Bookmark the permalink. Wow, never though using any product of this kind to keep my pimples array. Thanks for the tip Carol!